X, 284 p., 2 ill., 18,2 x 25,5 cm. 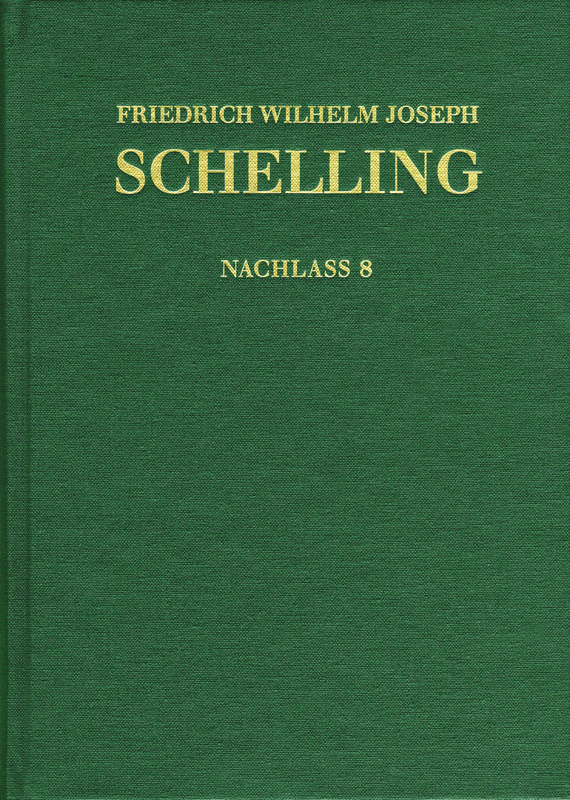 Nachschrift E. F. v. Georgii: F. W. J. Schellings natur-phÿlosophisches Sÿstem. In 1810, Schelling had given private lectures to a select circle of high officials in Stuttgart. The system concept, which was edited by his son from the unpublished works, is now presented here along with the transcript of E. F. von Georgii in a synopsis. The editorial report and the explanatory annotations document the history of the origins of the private lecture series and in addition to classical sources also provide insight into the philosopher’s pietistic and theosophical sources as revealed in Schelling’s journals.